A garden is a mini nature around you. In the world of hassle and hectic routine when pollution free world is a desire. Everyone has a wish to have a beautiful encounter with the green world. This world makes a big difference in our lives. The greens are amazingly great place to relax and rest. The garden does not need only planters. Just like we create beautiful indoors we can alter the garden too by introducing some creative wonders. A few additions can make your gardens the most admired place to be in. Garden love becomes a real world of love. The gardens can be decorated in many ways. Number of garden accessories are available in gardening shops. They further enhance the beauty of the natural greens and the varying colors. The flowers, the trees all get embellished when sophisticated artifacts are added as accessories. The garden has so many ways of decor to be used. The pots, the fountains all can be collected in crafty look to add a difference. The garden decor materials are available in numerous shapes, sizes, colors and materials. The prices can be according to the creation itself. A wonder world can be created in your garden by upcycling many of the materials. 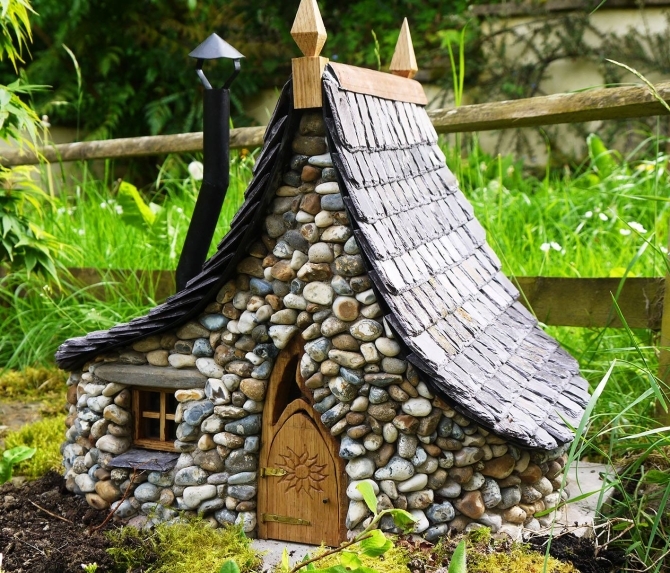 The used materials can be easily utilized to create a fairy world in your gardens. 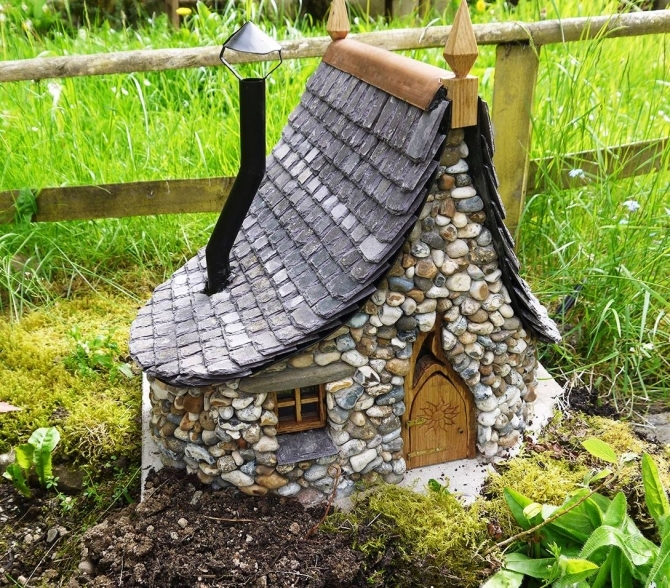 The beautiful cottages can be created by upcycling several rejected items around. 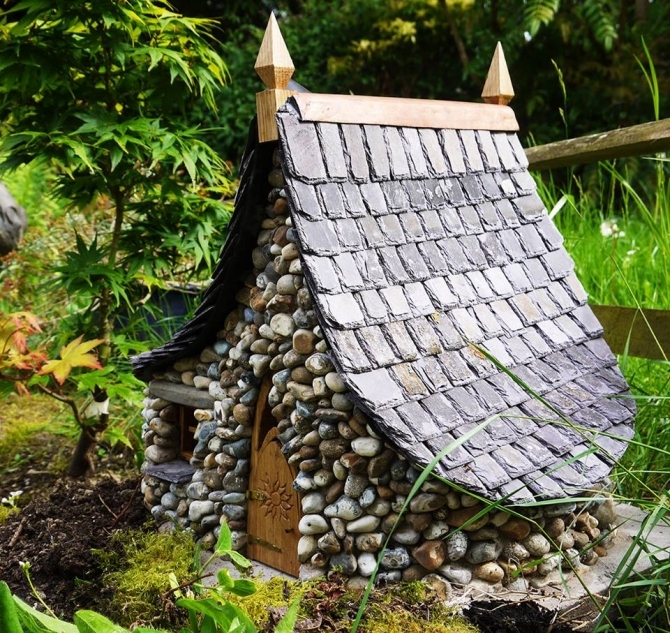 The little cottages can be made out of stones, shells, pieces of wood etc. Such cottages can not accommodate you but still can be great for the garden decor. 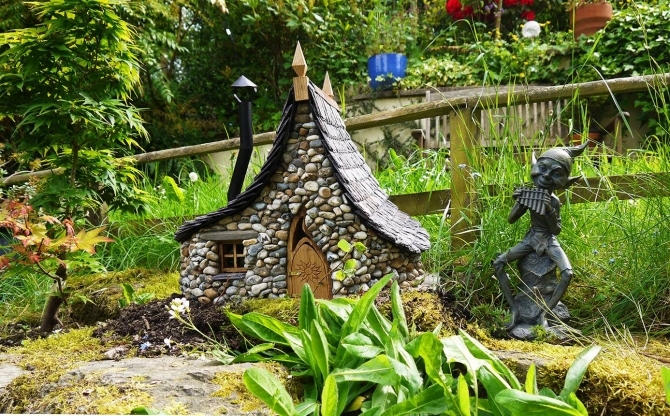 It is just like bringing a little fairy world to your garden. So look around your self. Architect a small cottage as per your need. Collect the materials you think will suit your little cottage and create the mini cottage using this.